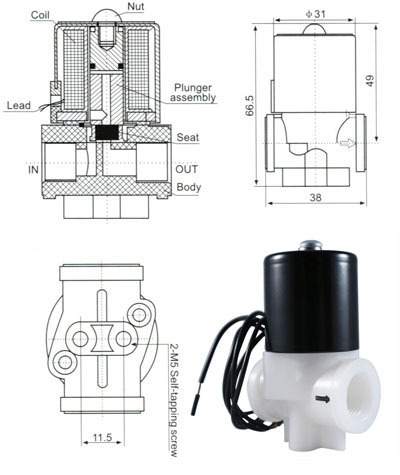 The RSC-2-24VAC is a Polypropylene plastic solenoid valve with ¼” female NPT ports. This compact valve is a great solution for 24V AC applications that require a small, lightweight solenoid valve. This valve has a 2.5mm orifice and 0.2 Cv value. It’s suitable for various media including air, water and other low viscosity fluids ranging in temperature from 25°F to 212°F.